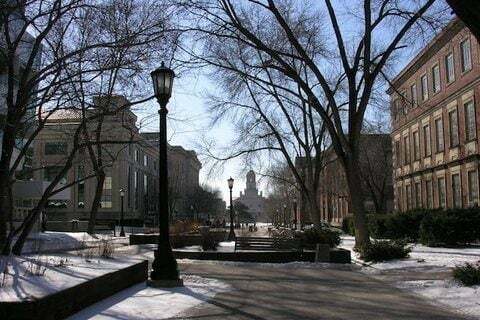 Based in Iowa City, Iowa, the university enrolls over 30,000 students annually. Known for its athletics programs, the school has claimed over 25 national championships. The school was one of the first American institutes to grant a law degree to woman. Mary B. Hickey Wilkinson earned her law degree in 1873.